Get moving with this powerful Bipolar Stepper Phidget. 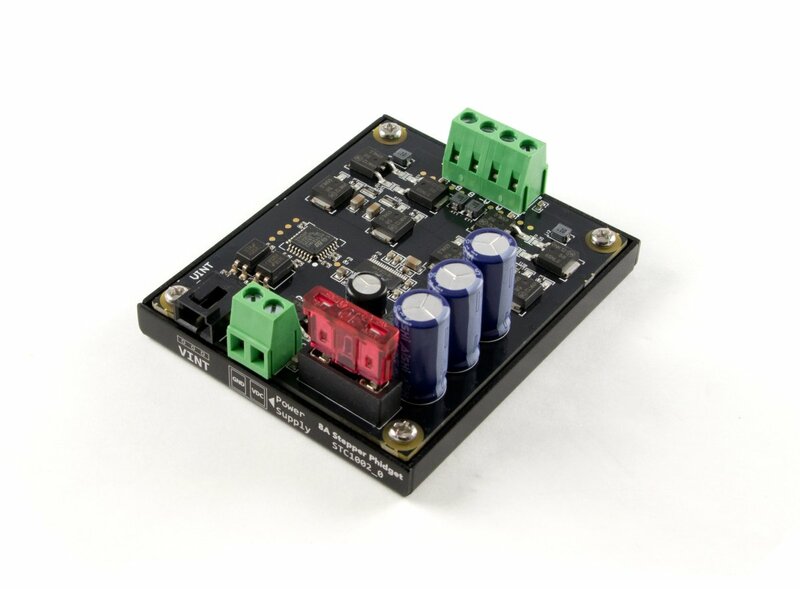 With a maximum power supply of 30V, it can provide up to 8A of current to each stepper coil. 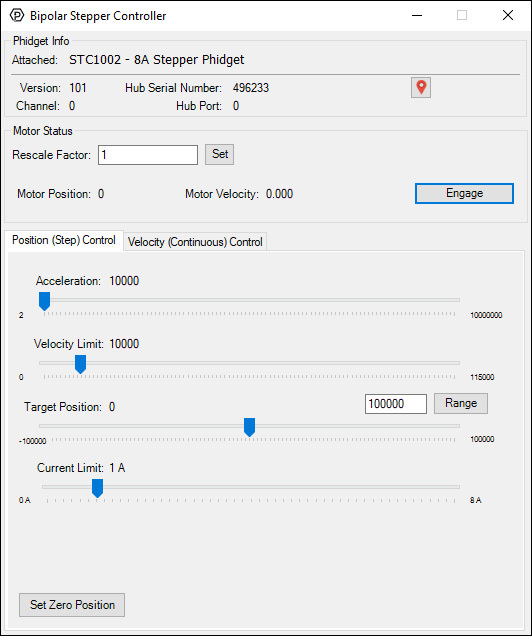 The result is that you can control the position, velocity and acceleration of one large bipolar stepper using a port on your VINT Hub (See the Connection & Compatiblity tab for a list of hubs). 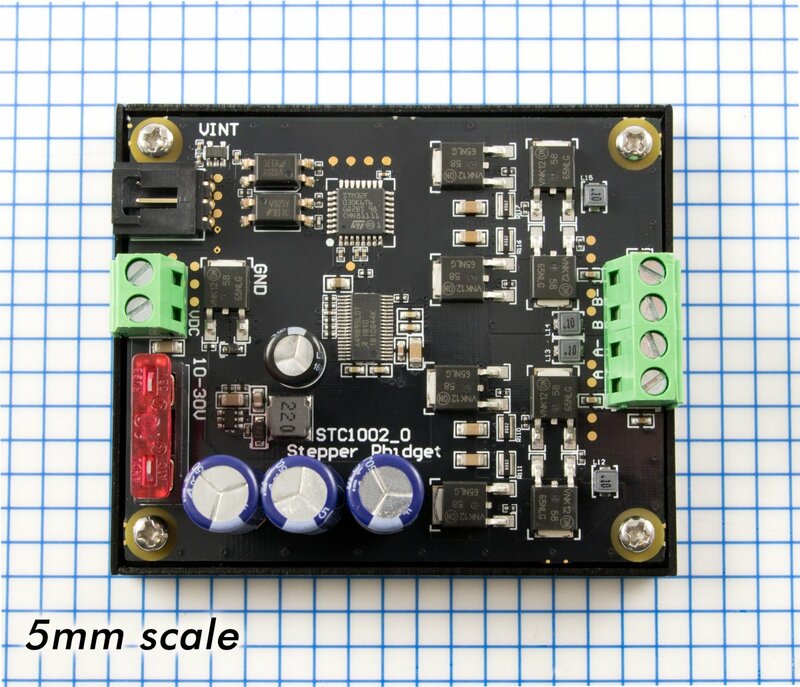 Steppers are especially popular in applications where accurate positioning is important. The Stepper Phidget comes with a number of safety features, since motors have a reputation of damaging unprotected circuits with current spikes when a motor stalls or changes direction under heavy load. There's a fuse socket with a 10A automotive fuse to protect your Phidget in just such an occasion, and the power terminals are polarity protected in case the power supply gets wired up backwards. 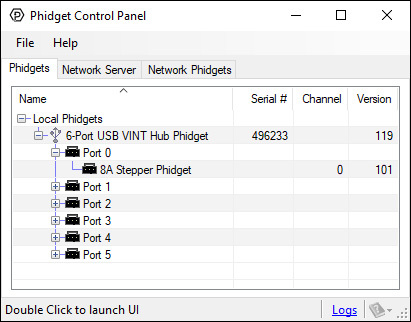 The VINT port on this Phidget is isolated from the power circuit, so you don't have to worry about damaging your hub or computer if something goes wrong. Ensure that this Phidget is in a well-ventilated area if you plan on running it close to maximum specifications. Make sure the power supply is unplugged before attaching or removing wires from the terminal blocks. Failure to do so could cause permanent damage to the Phidget. The STC1002 can control both unipolar and bipolar motors, but in almost all cases you're better off with a bipolar motor due to their increased power and more precise step angles. If you care about torque, large motors with high gear ratios are your best bet. If you car about speed, motors with no gearbox and high step angles are better. 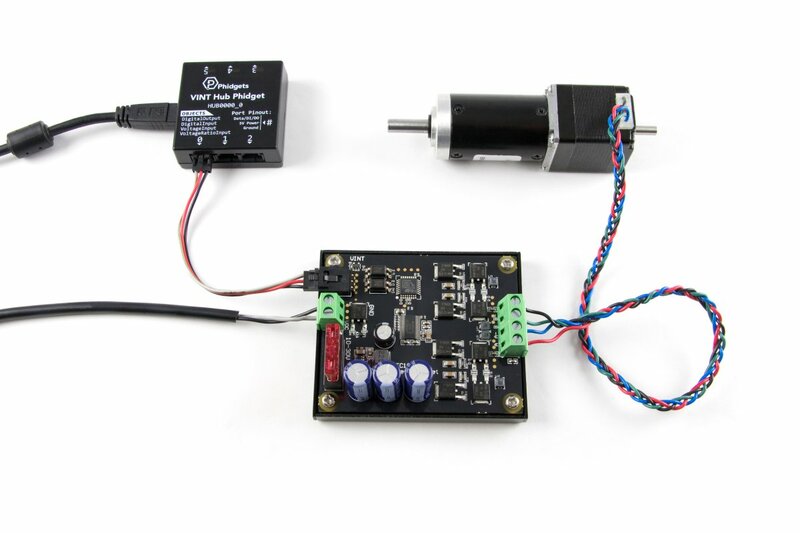 If you want precision, steppers without gearboxes and low step angles are best because while gearboxes do result in smaller steps, they also introduce a flat 1-3 degrees of positional error due to backlash in the gears.